Becoming a winner would could be a powerful lure for new subscribers. An email marketing giveaway is a perfect way to grow your email marketing list and engage with potential customers. Bryan Harris found that in 10 days, by offering a decade’s free access to software, he was able to accumulate over 2,200 email marketing subscribers. In fact, his campaign received a new email subscriber every six and half minutes. When you consider the value of every single one of those subscribers, you can certainly see how an email marketing giveaway could be a lucrative campaign. So how do you create the perfect email marketing giveaway for your business? Here are some pointers for you to get started. This is an important consideration. 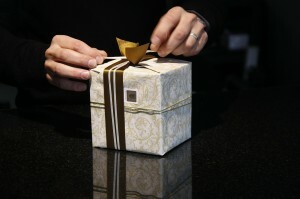 The right gift can attract the perfect customers to your business whereas if the gift is too generic (i.e. Amazon vouchers), then you might not attract the prospects you want. Research by Bluewire Media found that templates and tools led to the best open and click-through rates. Consider whether or not the customer is asking “what is in it for me?” when they read your email. When it comes to resources, templates and tools, something that helps with integration, is far more useful to them than ebooks, interviews, brain teasers or photo albums. While your own audience might react slightly differently, this is a good starting point to find out what your audience wants. To ensure your reach peaks at its maximum potential, you need to consider how you are going to give it shock value. This means that when your audience sees the headline, they will stop and pay attention. “Win a year’s worth of membership worth $2,000”? By making sure you list the value of your giveaway you can add shock value and help your prospects realise how valuable your giveaway is. If you want a successful giveaway, you need to ensure there is somewhere for your audience to go and find out more information, read the rules and signup. A landing page is a perfect platform and it also allows you to drive traffic to the site from your Google and other search engines. Consider the essential design elements when it comes to developing your landing page, a good heading, sub-heading, text and a clear call to action button. To extend the reach of your email marketing giveaway, utilise all the digital marketing channels you can to promote the giveaway and attract a larger audience. Social media, PPC and email, are perfect channels for gaining awareness of your giveaway. It is also important to spread new of your giveaway by word of mouth. Get your audience to share the giveaway on their social profiles to attract more people. Another option is to email others in your field who might be willing to share your giveaway with their readers. The more people that can share your giveaway, the more subscribers you will gain. You can encourage both by offering extra entries for those who share your giveaway. An email marketing giveaway is a perfect tool for increasing the number of subscribers you have. The challenges for your campaign are getting the giveaway to be desired by your primary audience and promoting that giveaway to the right people. There are solutions to this, but they require hard work, research and above all else, perseverance. 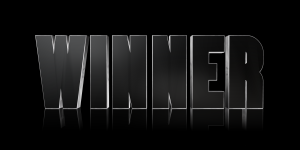 Have you run an email marketing giveaway campaign? What were the results? Your email marketing list should not look the same after a year. Old contacts will unsubscribe, others will become dead, and some will need to be removed to keep your list clean. The problem is, if you constantly have people exit your list, there will be a time when it will become very sparse. To combat diminishing list numbers, you need to consider how to attract more subscribers to your list. Your task would be smoother if you made it easier for your potential subscribers as this will decrease abandonment. So how can you make it easier to subscribe to your mailing list? Facebook Fan pages can be used as a portal to your list subscription. Many apps can be installed or used on Facebook that directly link to email marketing software. All a new subscriber has to do, is click on the button and enter in their details. By placing the subscription link on social media, you have the opportunity to really entice audiences by building trust through social media content, making it easier to fully convert them in the long run. Who wants to have the trouble of finding the signup box on your website? After reading your blog, whitepaper or about us page, a visitor will want to sign up for your mailing list or leave – whichever is easier for them and often, just leaving is easier. So why not place a popup on your website that displays when the visitor is about to leave the site? This popup will prompt the visitor to subscribe to your email list and fill in the required fields there and then. This can then populate your list. Ensure you are tailoring your popup box to match your brand image, so it integrates seamlessly with your website. 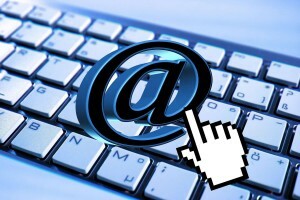 This is one of the most widely used tactics for collecting email addresses. A giveaway is fairly useful. Not only does it provide the prospect with something tangible for their details, but it can also help you segment the incoming emails into what interests them. For instance, if they’ve downloaded the children’s toys catalogue, you know that you should be sending them emails about children toys and not living room furniture. Giveaways can also be an excellent way to gain more exposure for your brand. You could have a raffle and offer a limited number of prizes. By using gamification techniques, you can attract subscribers to your mailing list by asking them to share details about the raffle in exchange for an extra ticket for themselves. Don’t hide your signup box. Make it stand out on your homepage so that visitors are drawn to it. The best location for the signup box would be in the top left corner as this is where the eye is naturally drawn to and has the greater reader engagement. However, this is a prime location, and therefore, you might need that for another piece of content. If that is the case, place the signup element in the menu bar at the top or in the sidebar, close to the top of the page. If it is above the fold, then more people will see the subscription tool and use it. Your email list will lose some subscribers over time, so it is important to replenish them with new subscribers. It should be easy for the target audience to see the signup for your mailing list and take action. Otherwise, list growth will be slow or even negative. Where do you have your signup forms? Do you use social media sign up forms? Why are people signing up to your email list? 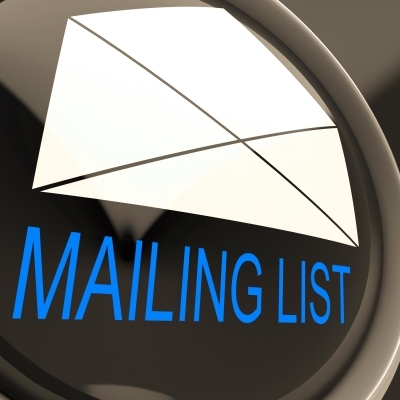 When you have an online business it is important to generate an email marketing list. According to numerous research projects, they are one of the best online sellers. The reason for this is that emails can be personalised to the reader, rather than generic social media, blog, video or podcast content that is created for the general audience. One of the ways that you can customise your email marketing newsletter is by inserting the name of the recipient into your email. Doing this for the subject line and at the top of the email when addressing the recipient has been proven to increase open rates, avoid spam filters and increase conversions. However, this isn’t the only way to increase these metrics. There is another, more successful customisation that will help your business achieve more from its email marketing campaigns: sending relevant content that the customer wants. The problem that many businesses face is how do they learn what information new signups want to receive? It’s all about learning the motivation of your business’ latest prospects for signing-up. By tapping into their motivation not only will you gain further insight into what they are interested in, but also see at what stage of the purchasing path they are at. The more urgent their need, the more likely they are going to want to speak to your sales team or receive that highly promotional email. To gauge their motivation, you first need to understand that there are two types of marketing motivation: need and want. A customer might want to have something, but that doesn’t mean they can have it. For instance, they might want to go on holiday to a five star hotel but they can only afford a budget equivalent. In contrast, a need is an urgent motivation where customers have to get something otherwise it causes problems. For instance, a customer might need a locksmith to repair the lock on their door. Motivation can often be determined by the pages of your website a customer is looking at. If they are viewing your product information pages only, then it is more likely a want motivation as there is no urgency in their actions. Alternatively, if they are looking at prices and delivery charges, etc – then there is likely a need for motivation. Both need and want customers can be marketed to. The need customers are just those that are further down the sales funnel and require less effort to convert. However, even with a need prospect you should find out what they want. This can’t always be determined by where they’ve been on your site. Either you have too many visitors / not the right software to marry up signup details with visitor activities or you don’t have specific pages and they were looking at all your products. So what you should do is find a way to generate more prospect knowledge. One way of doing this is to use topic specific downloadable content. By offering many different ebooks or whitepapers that range in topics on all your products, you can determine what the prospect would like by what they’ve downloaded. For instance, if they’ve downloaded the window installation document, you can be sure that they’re interested in new windows. Research by HubSpot has found that the more downloadable content you have the greater your lead generation is. The results also seem to be exponential, so generating lots of this form of content is almost invaluable. With this information, you can then create email marketing content that can target their specific interests. This helps reengage your audience and attract more of them to click through to your website and make a purchase. Knowing why someone has signed up to your mailing list includes finding out why they have signed up, what they want to know more about and how urgent the demand is. Then you can produce tailored content for them and can decide how quickly you should move towards the sale before a competitor beats you to it. How do you determine what the customer wants? Do you segregate your email marketing lists? Create at least 5 downloadable ebooks to capture email addresses. Segregate your email marketing list based on urgency of product need and desire. 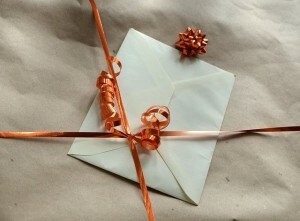 Free gifts for email details can grow your mailing list. You email subscription list needs constant maintenance. Part of that job is removing old subscribers from your list so that those who are hard bouncing or not responding to your emails are no longer receiving your content. The problem is that when you remove contacts from your list, your contacts list shrinks, giving you less opportunity to make a return on your email marketing campaigns. To avoid this you should look into adding names to your list. This is mostly done via an opt-in form that is either embedded on a web page or ‘pop-ups’ after an action has occurred. Simply requesting the users details may persuade some people to sign up to your email list, but the vast majority of people will not just sign up. Instead you should look into giving something away for their contact details. This is a much better way to entice your website visitors to sign up. Why Are Offers So Effective? Email addresses are valuable. When businesses are sold, the number of addresses on their contacts list can form part of the valuation. Consumers know this and they have a vested interest in keeping the number of organisations who have their contact details down to a minimum. Therefore, you need to give them a reason why they should sign up to your mailing list. Simply stating that they’ll receive more information every so often is not going to be highly effective – every business could offer that promise. You need something unique; an offer that will invoke their imagination and will be highly valuable to them. There are a variety of options for your opt-in offer. 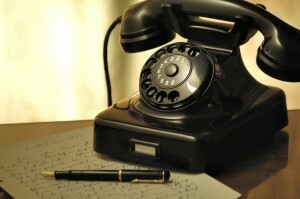 Many organisations offer a free quote. This can be good for those businesses where customers have bespoke prices depending on the work that needs to be done. An uncommitted potential customer now could be a loyal customer in the future, but only 30% of those who land on your website will ever find their way back. A locked area of your website. A trial of your service. The latter of these is very inefficient and should only be considered as a last resort. However, any of the other three options are very common. The first option, an auto-responder series is highly effective as it regularly reminds your audience of your brand. However, the real power of the offer is that the audience will find it valuable. Therefore, giving advice like “how to…” and “X number of ways to…” are perfect options. How Can You Deliver Ebooks, Whitepapers Or Apps? If you decide to offer your subscribers an ebook, whitepaper o app there are various options for delivering on your offer. The first is through an autoresponder. That is, when the visitor signs up for your email you automatically send them an email to confirm their subscription and provide an attachment of the ebook or whitepaper. If you use this option you should also include a confirmation link, so they confirm they have signed up to your email marketing list. Otherwise you may breech CAN-SPAM laws. Another option is to send the visitor back to a secure page on your website where your customer can download the document. This can be effective as it is a double opt-in (where two actions have to be taken to confirm sign-up) and therefore conforms with best practices and CAN-SPAM laws. Email marketing lists need constant maintenance. Removing old contacts is important, but so is the process of adding new contacts. One of the most efficient ways of adding new subscribers is to offer something valuable in exchange for contact details. This could be a free quote, but more than often it is an ebook or whitepaper. These are highly effective and can really grow your marketing list. The more on your email list – the higher chance you have to make a return on your email campaigns. What offer do your new subscribers have? How many offers do you have? Create more offers for your website to encourage more sign-ups. When Should You Remove Subscribers From Your Email List? The question is often asked of when you should remove members off your email marketing list. It is an interesting question. Email marketing lists are sometimes viewed with pride by the number of addresses you have. This has at times led to business leaders going out and buying email lists. There are many articles out there that will advise against this. A bought list can ruin your marketing opportunity as your mail will get reported as spam, be blocked and essentially your reputation will be hurt. Although old subscribers are unlikely to report your mail as spam – they are a potential problem. Having too many contacts on your database can slow down the delivery rate of your emails to those who are interested in hearing from you and generally no matter which service you use – more email recipients will often mean more money. Also a group of people with inactive accounts or who simply delete everything in their email inbox will distort your statistics. This will make it harder for you to determine whether or not your campaigns are working. So to save costs and be more efficient in your email campaigns you should enforce a strict removal policy. But the question is open as to how long you should wait until you remove someone from your mailing list. Sometimes people don’t realise that they can simply click on an unsubscribe button on your email to remove their names from your emailing list or something has gone wrong before and it didn’t work. Therefore, if someone does send you an email requesting that you remove them from your list – the person in charge of the list should do so immediately. Sometimes client – business relationships do not work out. There can be many reasons for this and neither party may be at fault. However, if this does happen it is highly unlikely that your old client is likely to want to hear from you on a regular basis. Therefore the best option would be to remove them from your mailing list. If they do want to keep in contact they can always re-subscribe. If you have people on your email list who regularly soft bounce the emails you are sending them it could be an indication they are not looking in their email account anymore. This is not a wonder, 17% of Americans create a new email address every 6 months – therefore if they’re regularly bouncing it might be they have moved on from that address. Hard bounces are impossible to turn around. If you find that an email address is hard bouncing the emails you are sending, it is best that you cut your losses and delete the contact from your email list. If you have been sending content regularly to an email address and they are not opening your email for a significant amount of time, then you should consider deleting them from the email list. Not opening your email is a sign they are no longer interested in what you have to offer. The amount of time which passes before this happens is open for debate depending on your industry and how many emails you send out to your list. However, the general rule of thumb is about one year. Your email list is not about how many contacts you have on the list, but the quality of those contacts. 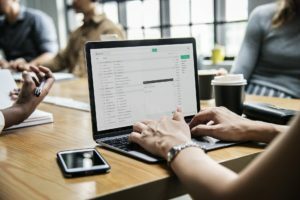 By having a list of highly engaged contacts you can ensure the financial efficiency and strong reputation of your brand in your email marketing campaigns. Come up with a group of reasons to delete contacts from your email list. Go through your list and see if any contacts should be removed. When do you remove subscribers from your emailing list?